We offer Certificate, Diploma, and Advanced Diploma massage courses in Canberra. Our courses are 1-2 weeks in length, intensive, and hands-on. Our massage courses in Canberra are not like any other available in Australia. Although the courses are short, you will learn to massage in a way that will leave your clients wondering where you trained and how this massage is better than any other they have ever experienced. Raynor Naturopathic Massage has as its goal the aim of finding and then getting rid of all tension in the body, allowing the body to relax and energy to flow freely. It is a holistic, Naturopathic massage, drawing on many thousands of years of massage experience from around the world and drawing it together into one, unique and effective massage. Our short massage courses are hands-on, practical courses designed to get you practising quickly, safely and effectively so that you can provide effective treatments to your clients and begin to build your business as soon as you have completed the course. 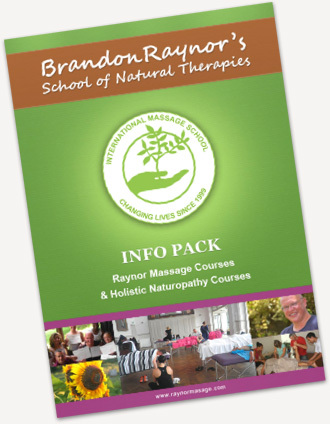 For our Australian students, as well as qualifying in our Raynor massage you can go on to get Australian government qualified in the Certificate IV in Massage Therapy and the Diploma of Remedial Massage by completing theoretical aspects of that course with Health Schools Australia. Nurses, other health professionals and some other suitably qualified people may be able to get Australian government qualified just by taking our massage course and then getting Recognition of Prior Learning for their other qualifications with our partner school Health Schools Australia. For more information about this please see our video here where the principal of Health Schools Australia discuss government qualifications and how he recognizes our massage courses in Canberra. We do not have any courses scheduled for Canberra in 2015 or 2016 but we encourage you to attend one of our courses in either Sydney, Melbourne or the Sunshine Coast. Our massage courses were developed with the learner in mind by a therapist who has been practicing in the field for many years. They are hands-on and individualized courses, designed to get you massaging from day one without spending time on theory that you never use. In our massage courses you will learn to develop your sense of touch so as to detect muscle tension and blocked energy in its many forms, layers and channels in the individual patient’s body. You will learn to trace problems to their source rather than just treating them locally. For more information please see the articles What is Raynor massage and What is Chi. Learn more about our approach to massage training.